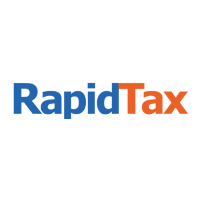 RapidTax.com guarantees the accuracy of the federal refund that is reported online. The amount of your federal tax refund or of the tax you owe as reported online is based on the information that you enter on our web site. If this is incorrect and results in a lower refund or in higher tax owed (not including IRS or state penalties), we will correct the error and give you a full refund of our fees. At RapidTax.com, customer satisfaction is our top priority.